Holiday smells: Eggnog shower gel? Gingerbread-scented nail polish? This must stop. Eggnog shower gel. Gingerbread-scented nail polish. The holidays have started to reek. The skies are heavy, the wind, bitter and wet; all nature conspires to push us indoors, inviting us to take comfort in our homes and hearths. It’s only natural in a dreamy season such as this that we should often drift off, guiltlessly slipping from our dog-eared books and well-worn chairs into visions stuffed with ripened sugarplums and bathed in the heady vapors of simmering wassail, into noontime reveries visited by the spicy embrace of fresh-baking gingerbread and the pleasantly absinthal greeting of a pinch of newly ground clove atop a pool of warm cocoa. I ran out of purity. Sparkling berry. I feel so sophisticated when I look at these. I don’t indulge in real life, only in the shower. Flaky, flaky, buttery. When you are looking at it, don’t you smell the biscuit crust notes? Crispy, calming. When you put your eternal grace on, you feel modern. Holiday skin. A treat is happening. Something is happening here, but it is surely not a treat. In the perverse wonderland of QVC’s Philosophy (a brand long noted for its olfactive transgressions) holiday special, one’s skin can be shed and exchanged for the Christmas season, and shower gel evokes the crust of biscuits or the froth of eggnog. Natural scents that have for millennia wafted from baked goods and other wholesome items are suddenly transposed to mass-manufactured goops, perversely satisfying our hunger for them “in the shower” instead of the kitchen. Forget purity—what we have run out of in this nose-confusing holiday season is sanity. Though QVC’s promiscuity with our noses and tongues is acutely terrifying, the vile admixture of wholesome holiday smells with completely unrelated and inappropriate products has thoroughly infected our culture. Take cinnamon, that most affable member of the “pumpkin spice” quartet. A quick search online shows our friend miscast in the most unlikely of roles: on pinecones (because those don’t have their own happy essence already) and, mixed with applesauce and a little Elmer’s glue, as a “craft-dough” for some frustratingly inedible ornaments; in lotions and nondairy creams of all sorts; even, counterintuitively, dirtying the straw of otherwise useful brooms. Imagine—a cinnamon broom! The perfect implement to sweep up your Christmas tree needles and kiss your furniture and cats with a fine coating of brown dust at the same time! Speaking of pets, did you know that a purveyor called Pet Effects provides a special shampoo capable of making your dog smell like hot chocolate? (I didn’t look long enough to see if they offer a whipped-cream conditioner.) I guess that’s better than pouring a steaming cup of the stuff on old Spot, but something tells me he won’t really appreciate it either way. To be fair, we’ve arrived at this level of decadence honestly. For centuries, human beings have been bringing bits of nature—evergreen trees, for example—into their homes this time of year to gently spice the air. And of course, cooking and baking have traditionally filled our homes with pleasant aromas as well. But in an age where much of that is done with mixes that reek more of aluminum than allspice, we’ve turned to other, less savory sources of redolence. Nuanced boughs of holly were first supplanted by rather obvious candles (which themselves quickly became multilayered orgies of headache-producing vapors), and these are now joined by lotions, sprays, and coatings of all sorts. Our scientists have even found ways to imbue the humble pencil with the essence of milk chocolate and peppermint—pair one of those with some of the aforementioned nail polish and you can skip dessert. Actually, why not abjure the traditional family meal entirely and just swallow a few sachets (whatever that is) of spiced cake and call it a night? Actually, don’t do that. I don’t want to be responsible for your falling prey to the marketing schemers. As a study from researchers at Washington State University recently showed, the presence of certain, simple scents like oranges in a store can entice shoppers to spend more money and buy more items than they otherwise would have. Which probably explains why we give quarter to all these smelly charlatans in the first place. 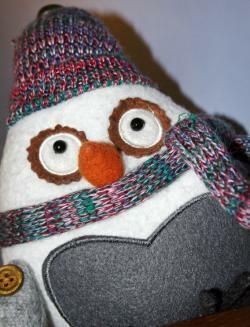 Remember that sugar-cookie-scented Christmas owl you picked up from Pier 1 because it was so cute? That owl played you for a fool. Doesn’t look so rakishly charming now, does it? 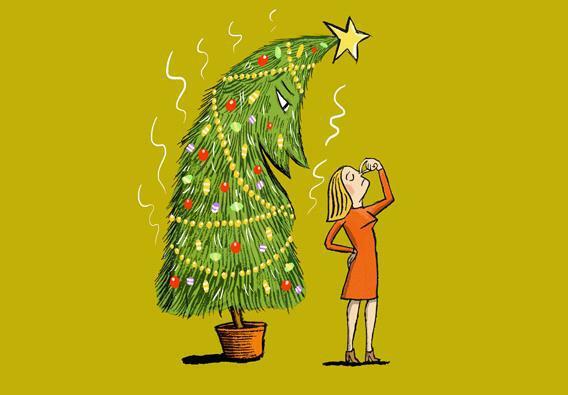 Remember that feeling next time something boasting of the “smell of Christmas” approaches you from some source other than your oven.